Only two days ago, we told you about the announcement of GTA V on PC and next-gen consoles, and already today would like to share some fresh information about this project. Thus, yesterday, the alleged GTA V release date (on PC, PS4 and Xbox One) was leaked. According to the information, published on Amazon.com and removed a bit latter, GTA V release date on PC and next-gen consoles is planned for the 28th of October 2014. Taking into consideration the facts that Rockstar has scheduled the game’s launch for this autumn and that all projects’ releases take place on Tuesday in NA, we can assume that the abovementioned date may be the trustworhy one. Anyway, we will treat this information with a grain of salt, unless the developers confirm or deny it. Besides it, on the site of the same retailer you can find the cost of all three new game’s versions. If you are going to pre-order GTA V on PC, PS4 or Xbox One, then be ready to pay $59.99. It’s not cheap at all, but, as it seems to us, this amazing action-adventure lives up to its billing. And what do you think? And the last information in this news concerns the owners of Sony’s next-gen console - PlayStation 4. According to the official information, the game’s version for the abovementioned platform will have some exclusive content, as it was with PS3 one. So far it’s unknown about which things the developers are talking. Did you like these news? 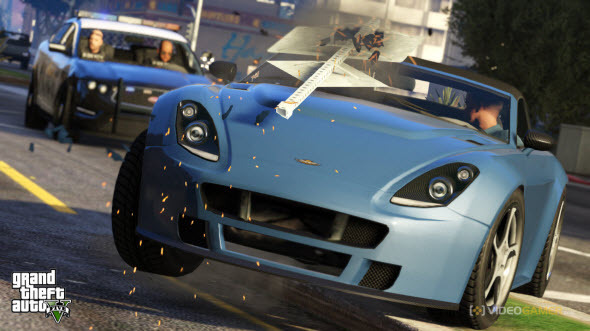 What do you think about the alleged GTA V release date (on PC, PS4 and Xbox One)? We are always glad to see your comments below.